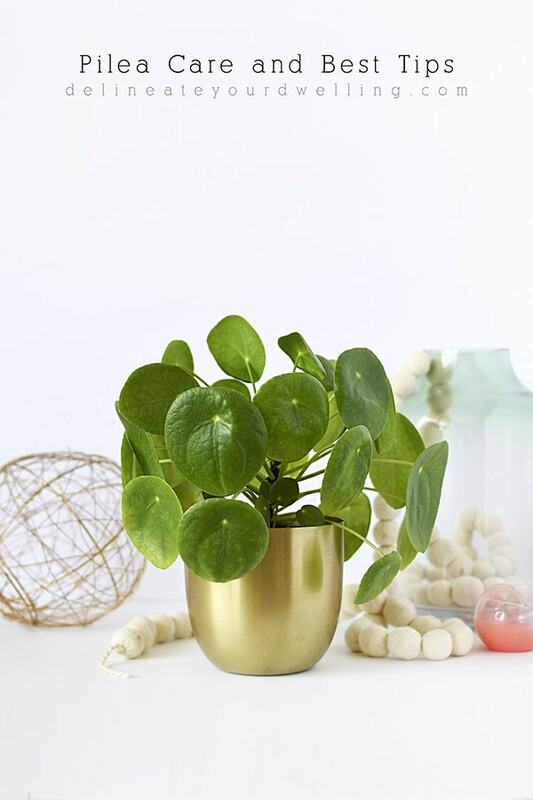 INSIDE : The best tips on how to care for Pilea! From their watering needs, propogating, light amounts and even where to buy a Pilea Peperomioides. Move over Fiddle Figs and Monstera plants, there is a new “it” plant on the scene and I can not help but love it in every single way! 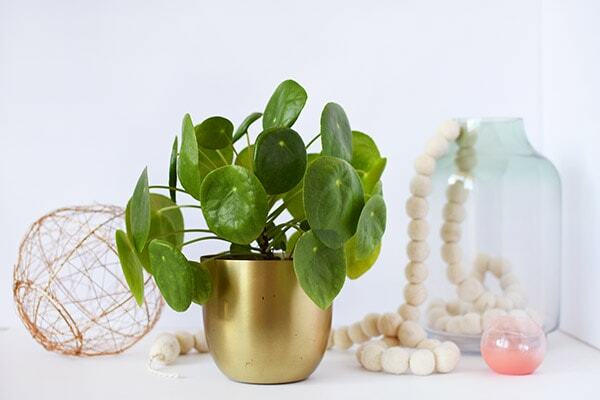 Today I am talking about Pilea Care and Best Tips because I’ve had mine a little over a year now and it’s still going strong. How do you say Pilea Peperomioides? 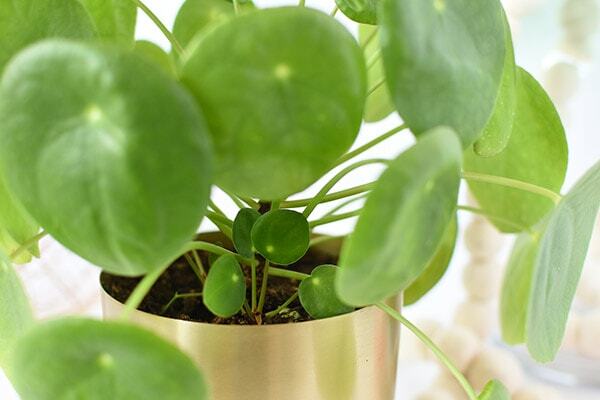 Well, this gorgeous plants goes by many names, so you can call it Chinese Money Plant, Pancake plant, UFO plant, Missionary Plant or simply Pilea (that’s what I call mine). But in all seriousness, you pronounce it (Pie- Lee-uh Pepper–o–mee–oy-dees). And you can hear it’s pronunciation here. How do you propagate Pilea? My plant is about 1 year old and he has been growing two small pups for some time. I waited a while until they were of significant size (a few good inches tall) and decided it was time to propagate them. A healthy Pilea should regularly produce these little pups. They pop up from the soil and are ready to use once they have a few leaves of their own. The little pups should already have a small root system of their own, so all you have to do is cut the connection to the mother plant’s roots using a sharp, clean knife. Then, just pop them into smaller pots of their own and keep the soil lightly moist. The move to their own pot might slightly shock the babies but because they already have a root system they usually immediately start growing. After about 4-6 weeks, they are anchored in their soil and will begin to sprout new leaves of their own. The main mother plant has since grown another pup since I wrote this original post. I plan to let her keep this pilea pup this time. How often should I water Pilea? 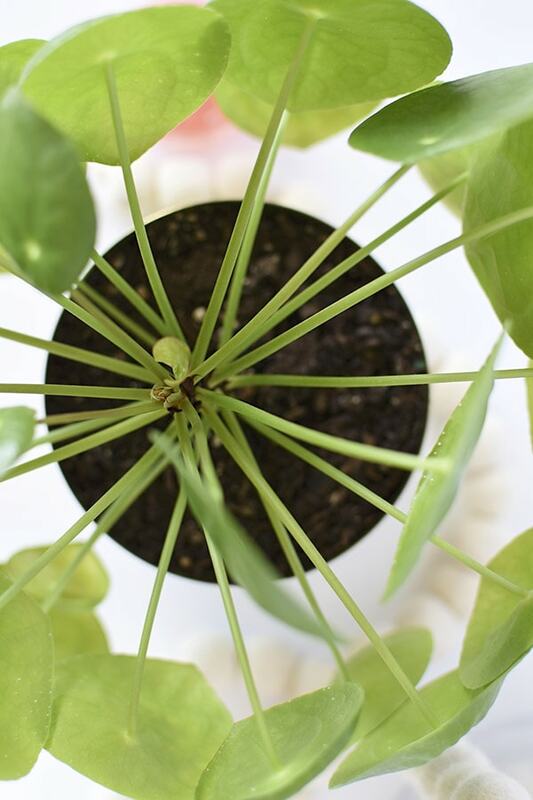 Pileas do best when their soil is kept slightly moist but excess water should never be allowed to left standing in the pot for extended periods of time. If you’re not sure whether it’s time to water yet, sticking your finger into the soil can help figure out what to do. The soil should have dried out a little but not entirely. If it’s bone dry or soaking wet, adjust your watering schedule accordingly! I water most of my plants here in the SW desert once a week. If I start to see my Pilea leaves drooping a bit, then I know he needs water a little earlier. What are the white dots on the underside of my pilea leaf? If you turn over your Pilea leaves after you have had your plant for a while, you will often notice small white dots all over the leaf. I was worried at first, but then realized it’s no big deal They have pores on the underside of their leaves which allow for gas exchange. Water vapor is released through these pores as well. These white deposits are a sort of mineral deposit when the water vapor is released. I’ve heard of people using distilled water and they’re mostly gone. I however, just wipe the underside with a damp cloth every few weeks and keep using tap water. 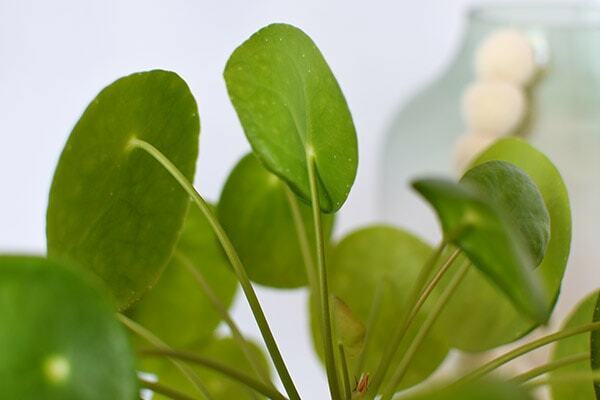 Why do Pilea leaves curl? Curling leaves can happen to Pilea and it’s happened to a few of my leaves. It seems that for a Pilea curled leaves means you might be overwatering. Try letting the soil dry out a bit and then give it a water. Also make sure your plant doesn’t have too much filtered bright light. Find a good combo of water/light for your plant. What kind of light does Pilea need? Piles seem to like a location with plenty of light but they doesn’t do well in direct sunlight. And although it can be kept outside in warmer areas, they seem to be best suited as houseplants in most locations. 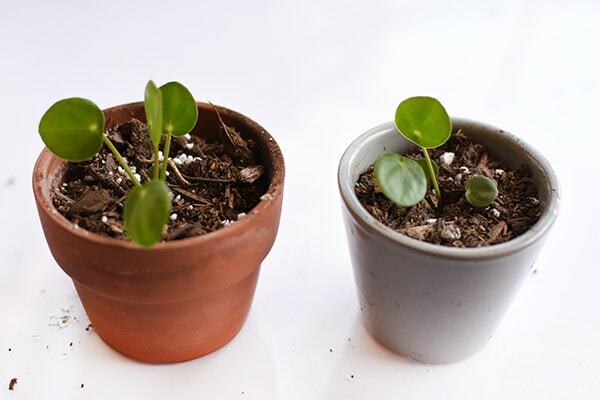 Pilea is very responsive to the sun and such a fast grower, it has a tendency to send all its leaves in one direction. After I water my plant each week, I rotate the plant 2-3 times to avoid a slanted stem. After your Pilea grows substantially you might need to even stake your main stem. I just noticed last week that my local Trader Joes was selling a few small Pilea plants and my local nursery has had them available a few times. I think as they continue to gain popularity that more and more plant nurseries will be carrying them. But until, they really become more available to the masses, online plant shopping is the way to go. PIEP is where I got my Pilea and have been very happy with it. Walmart ONLINE is carrying small Pileas. 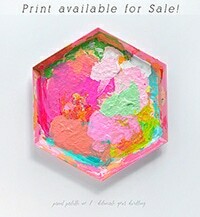 I’ve seen numerous shops on Etsy carrying them. And I love that Amazon is now selling them, too. Looking for more creative plant related posts? 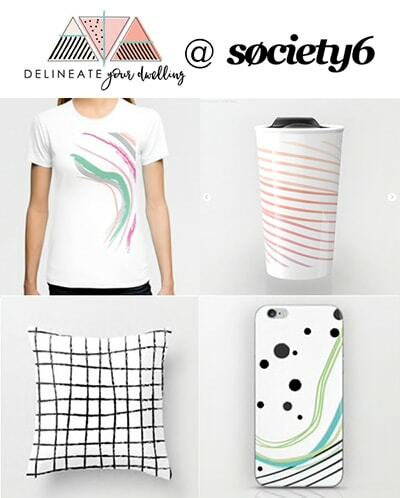 You might want to check these out!